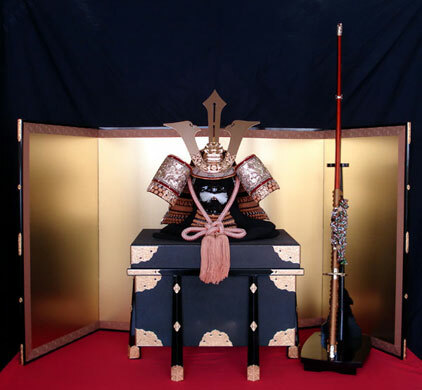 and approximately fine 50 swords, 50 Tsuba and 100 other fittings are displayed. 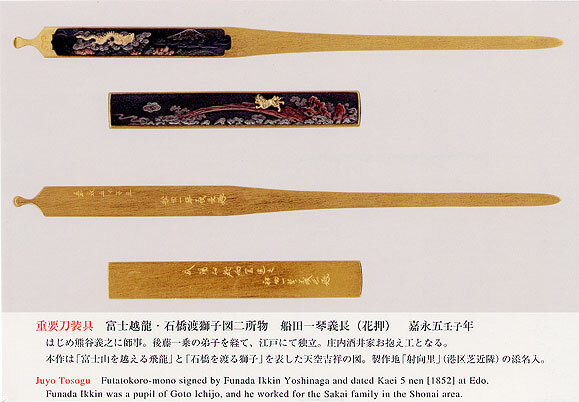 great-grandfather “Kozaemon” and father “Yukihira” in 1996. 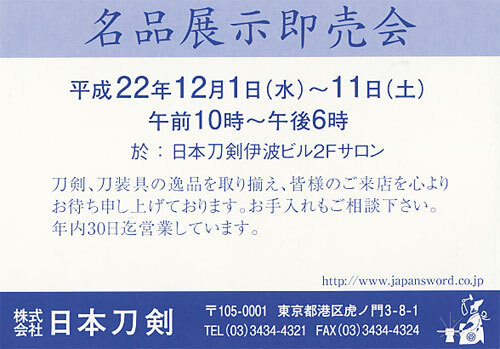 Now on sale at our gallery upon your request. 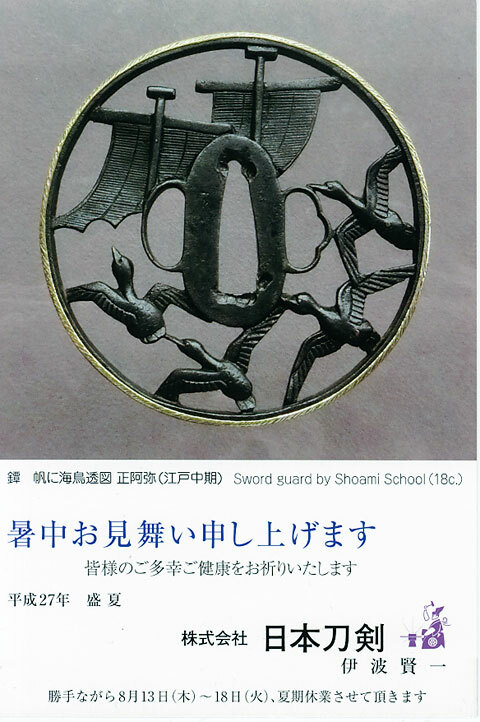 50 Tsuba and 100 other fittings. 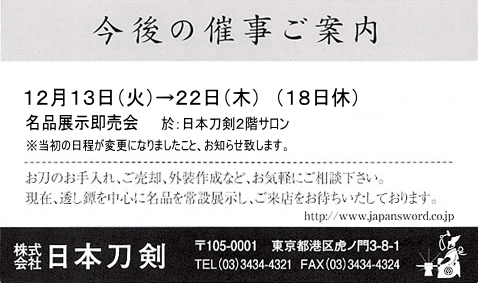 We will be closed from August 13th (Sat.) 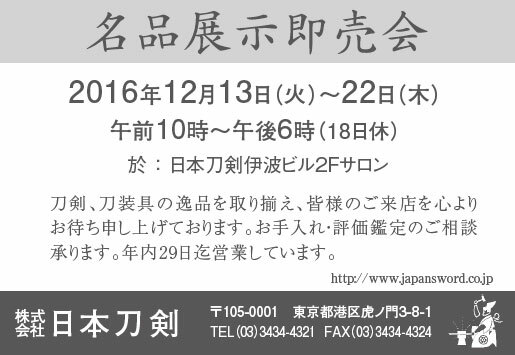 to 18th (Thu.) 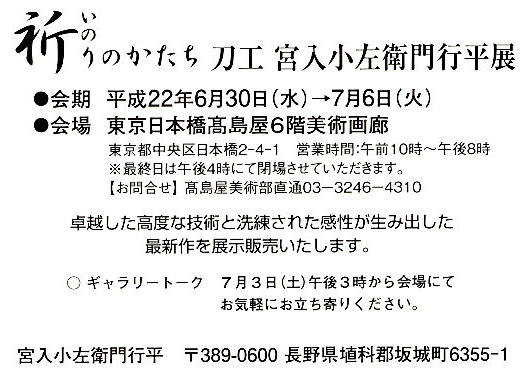 of 2016 for the traditional summer holiday. 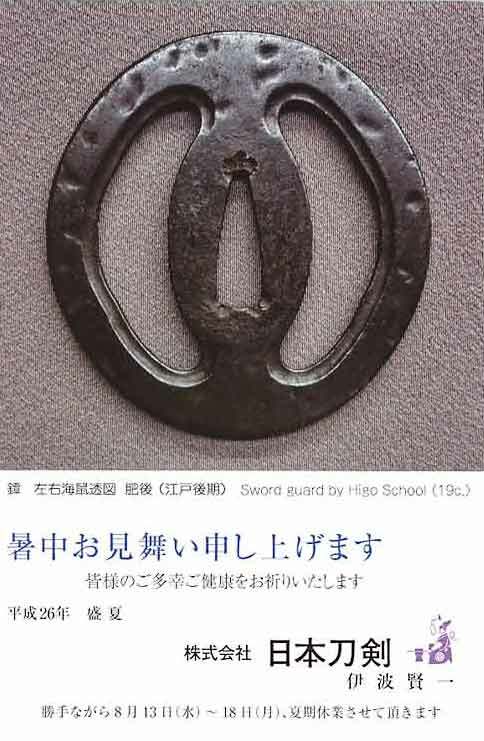 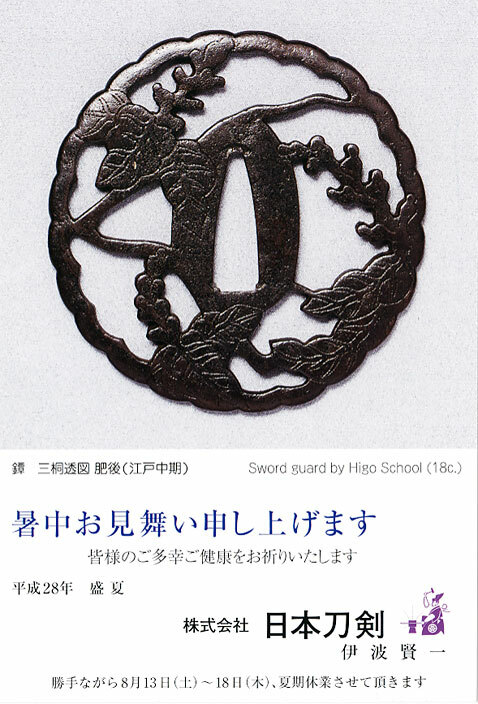 approximately fine 50 swords, 50 Tsuba and 100 other fittings are displayed for sale. 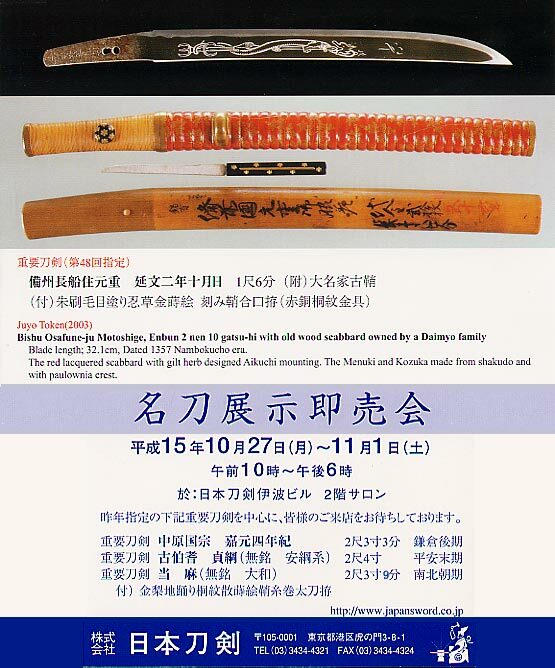 We are pleased to inform you our special exhibition for approximately fine 50 swords, 50 Tsuba and 100 other fittings. 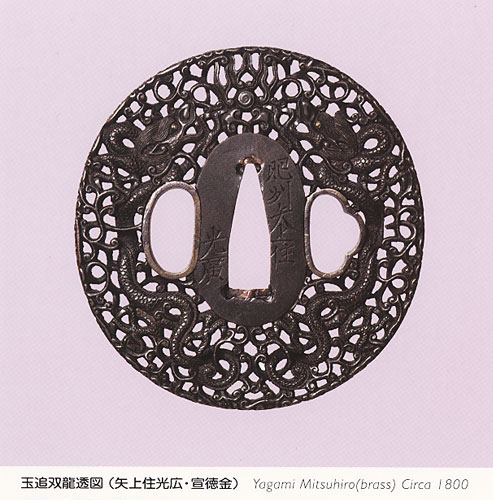 approximately fine 50 swords, 50 Tsuba and 100 other fittings are displayed. 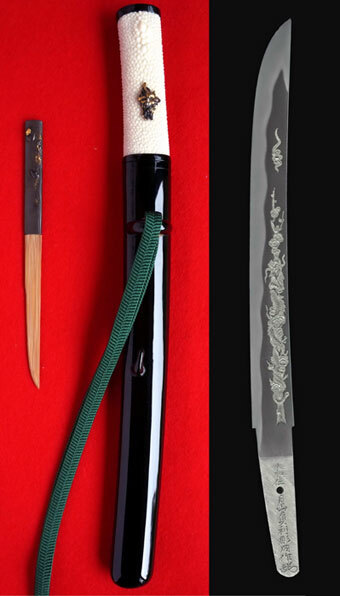 fine 50 swords, 50 Tsuba and 100 other fittings. 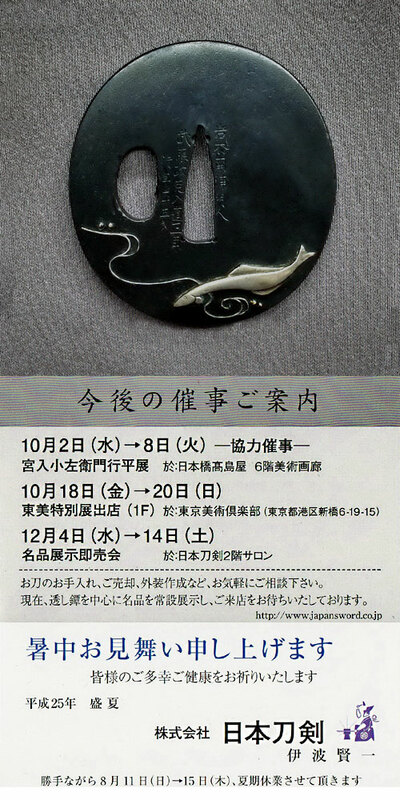 which is the animal zodiac of 2012. 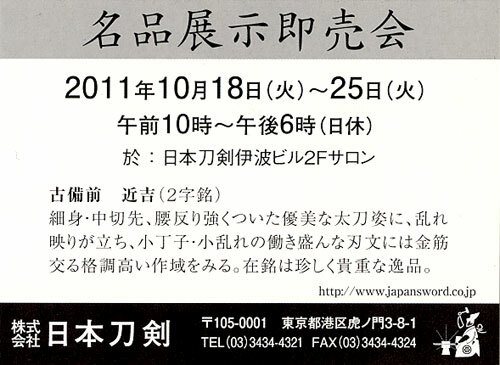 We are very pleased to announce you one exhibition for sale by our arrangement. 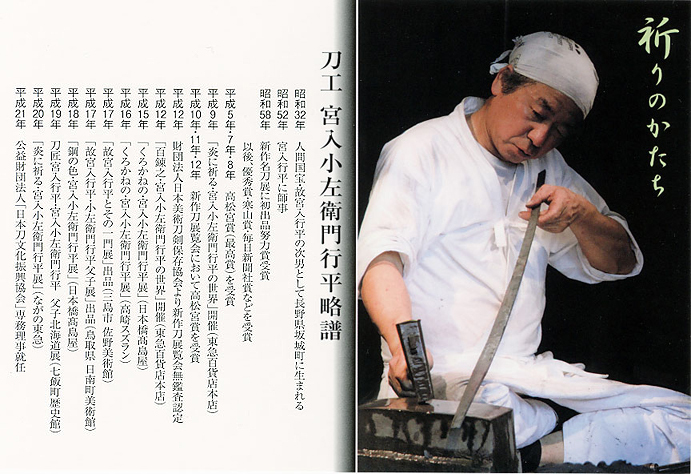 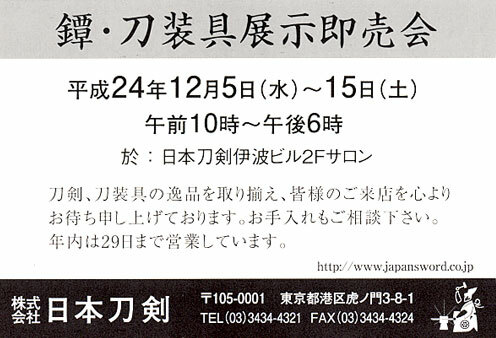 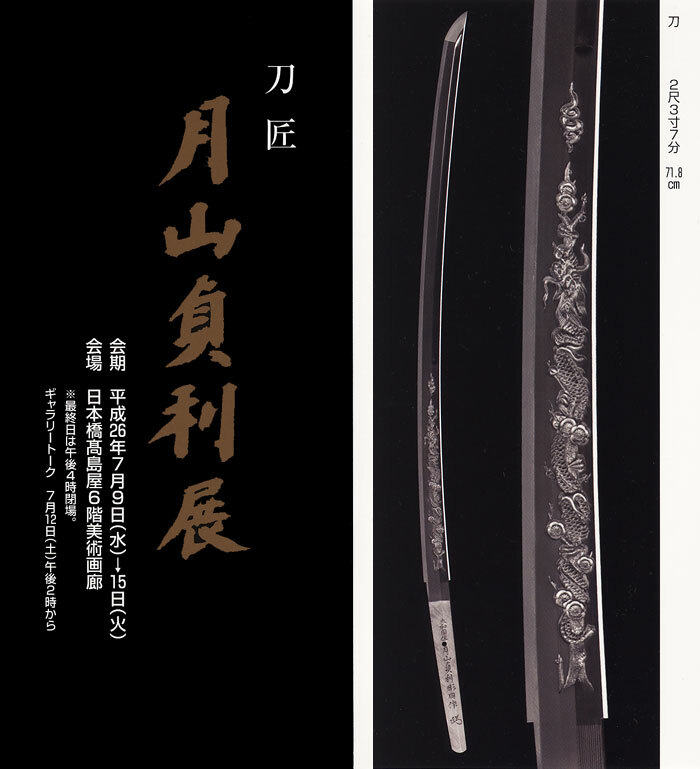 His latest 25 works such as Katana, Wakizashi, Tanto, and so on, will be shown. 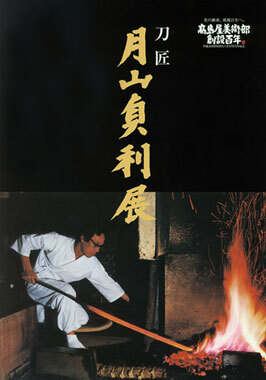 Yoshihara Kuniiye was born in 1945. in Tokyo. 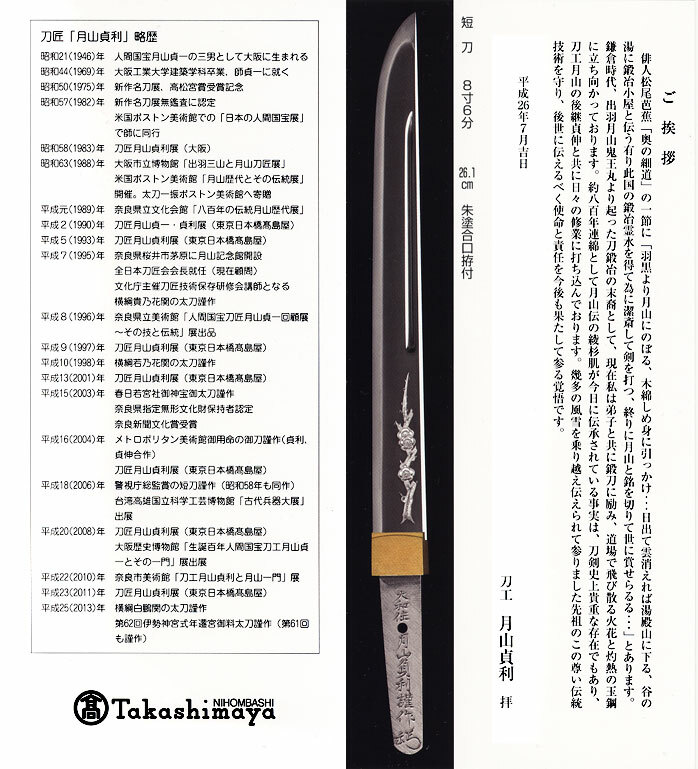 and became the third professional generation of that name 1984. 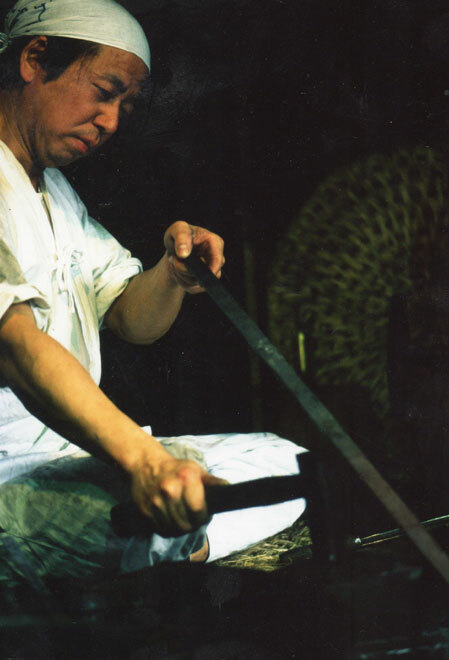 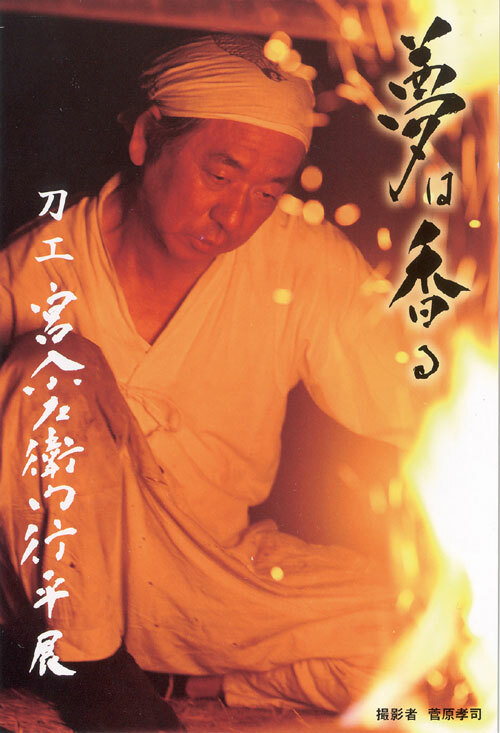 He appeared on the movie “Bushi-do(Last Samurai)” in 2004 as a real sword smith. 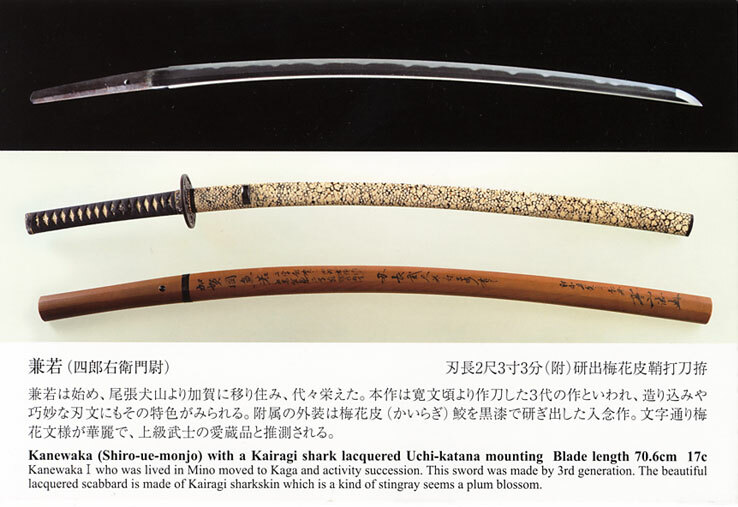 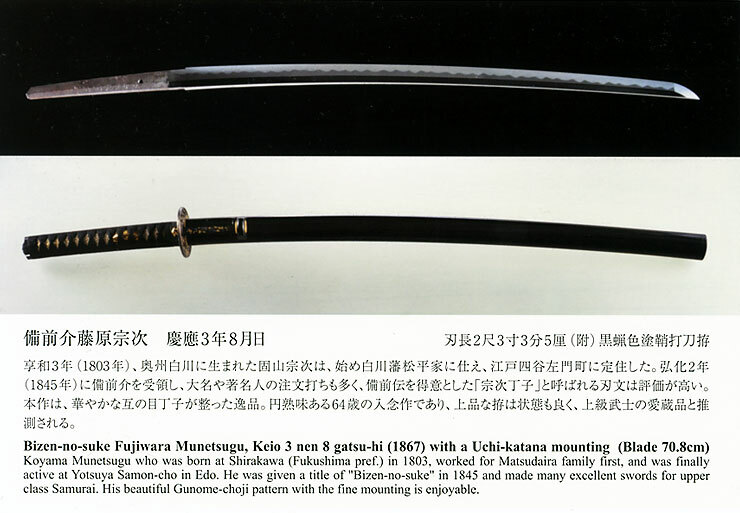 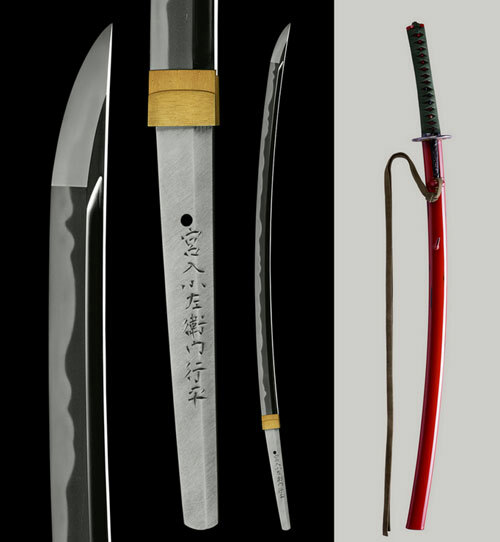 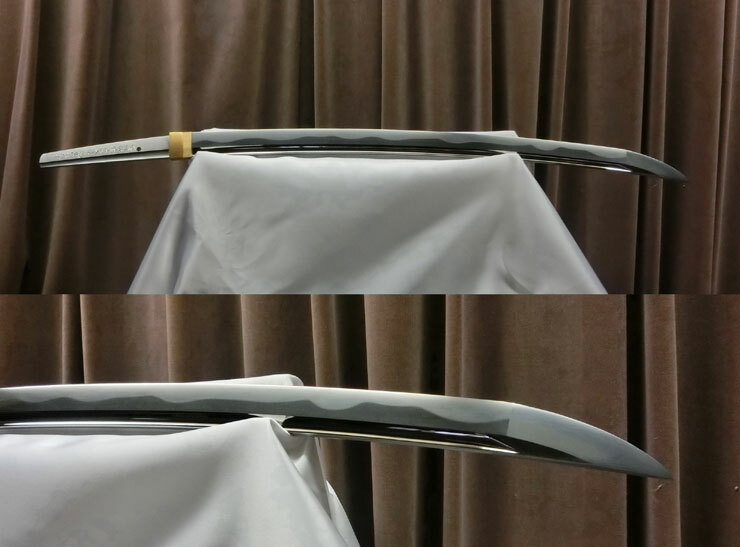 and have displayed more than 50 Tachi, Katana, Wakizashi and Tanto for sale. 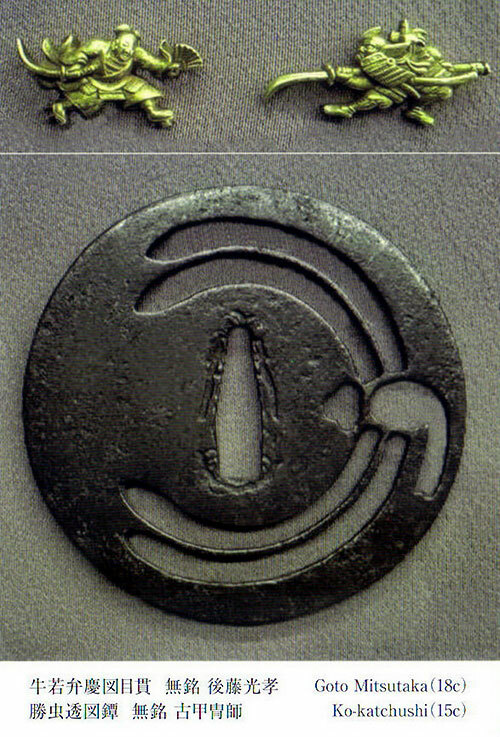 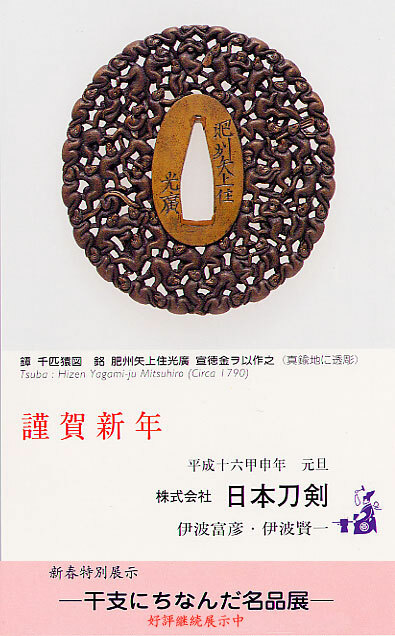 A fine Ko-Bizen tachi by Chikayoshi, bearing his signature. 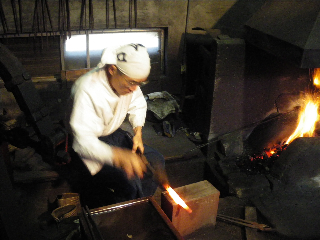 with bright clear midare-utsuri. 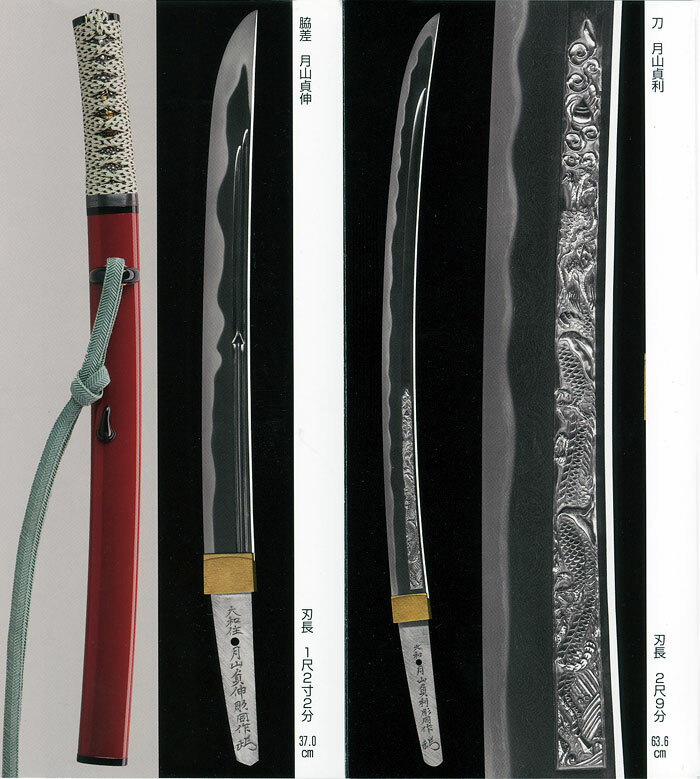 It has wonderful choji, and a gunome hamon with rich ashi, yo and kinsuji. 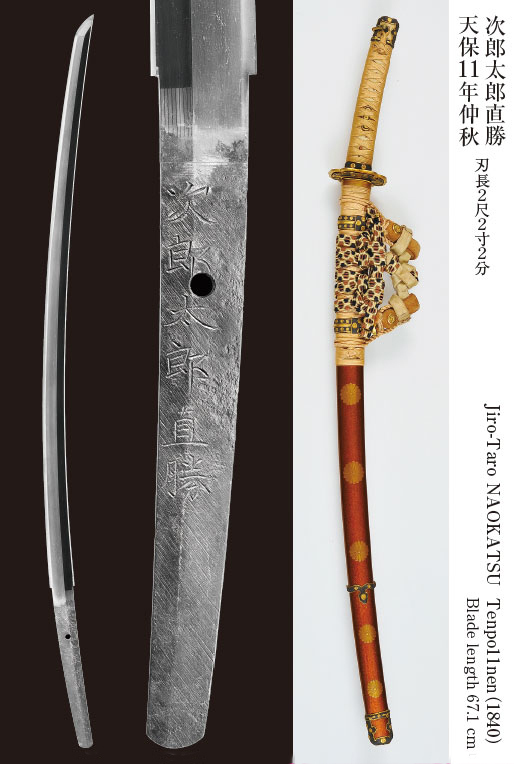 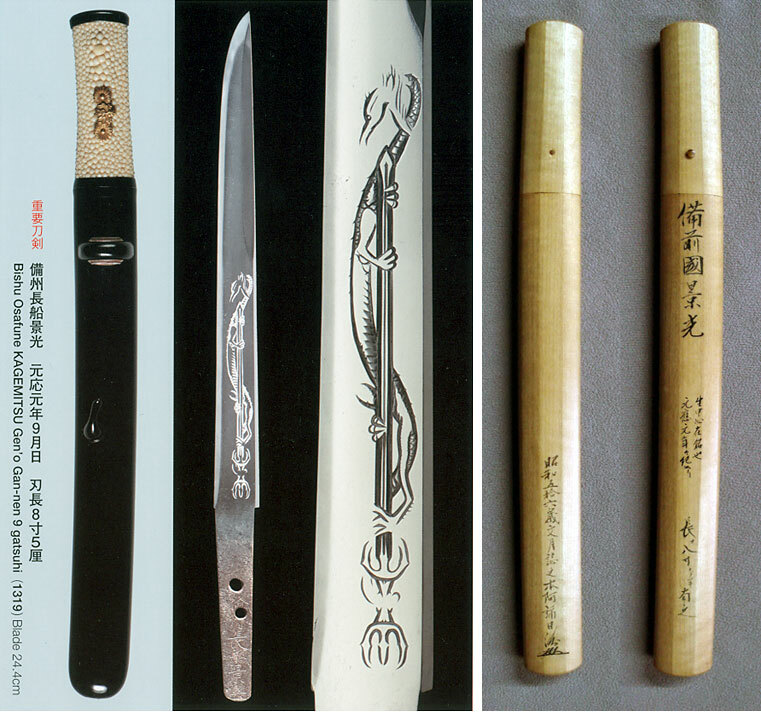 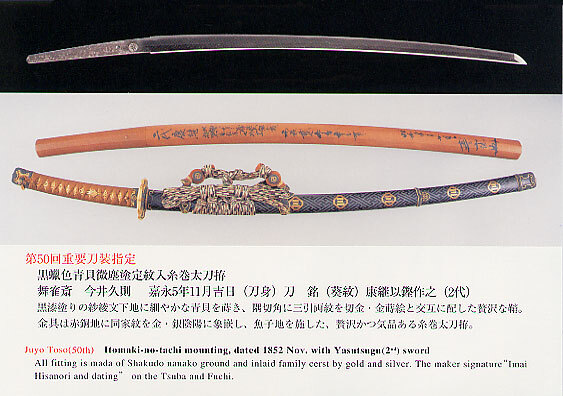 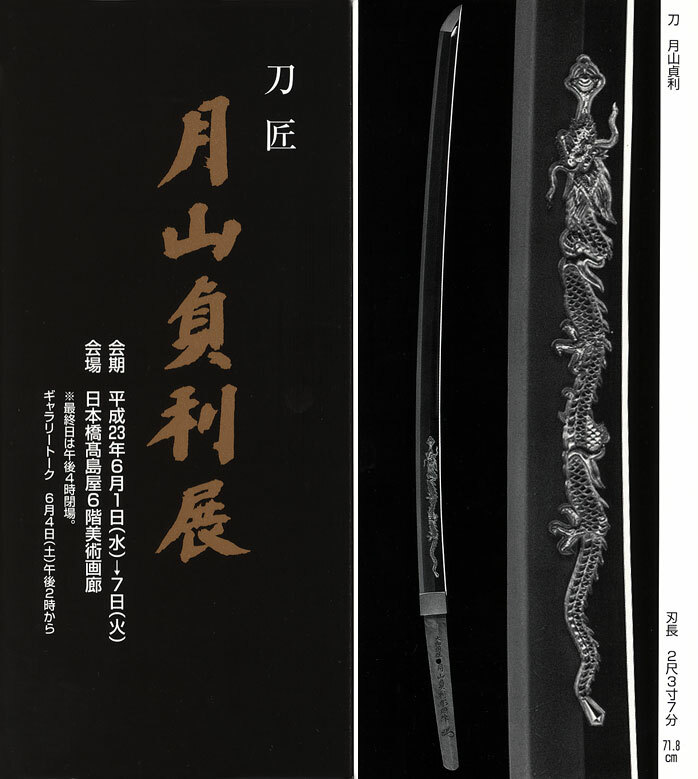 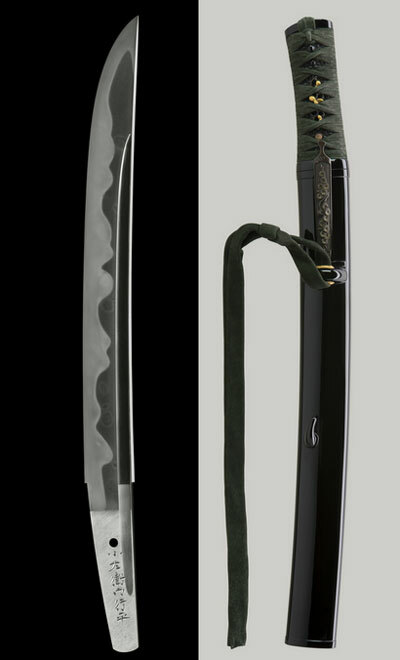 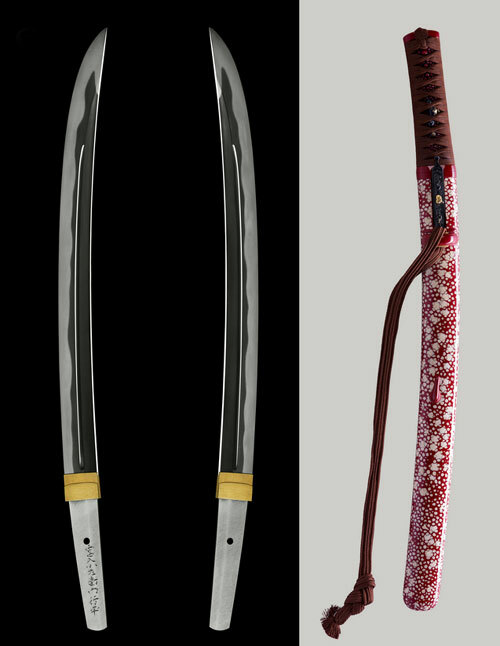 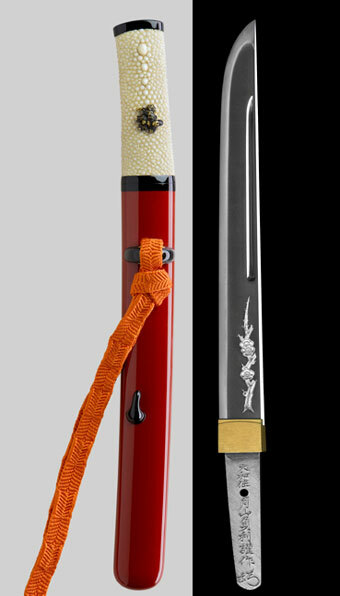 dragon chasing treasure ball engraving, blade length 63.6 cm and,blade length 71.8 cm (JP\5,250,000 each). 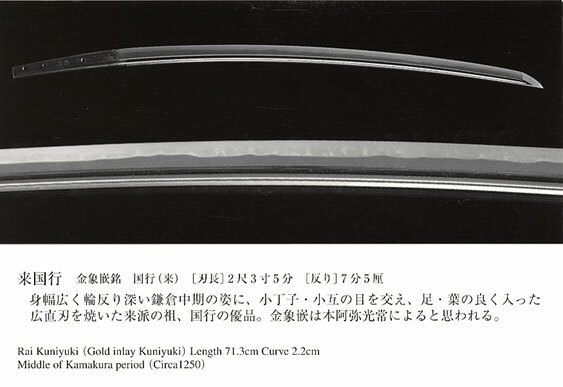 often incorporates eddy-like grain formations. 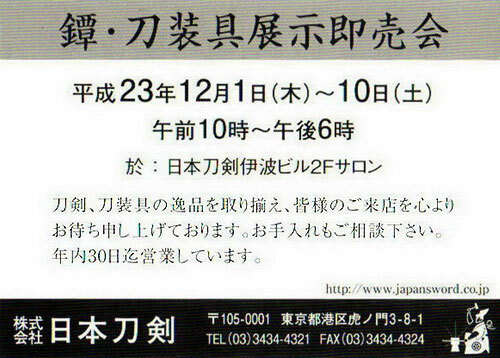 We are very pleased to announce you one exhibition for sale. 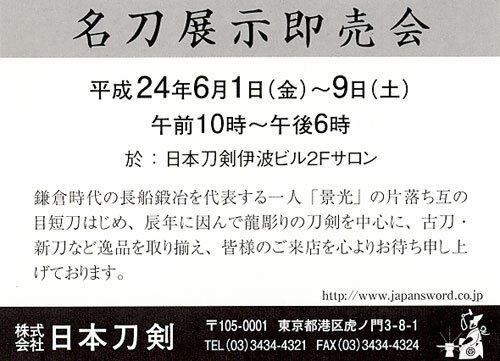 Date: Beginning on Wednesday, May 28th until Tuesday, June 3rd, 2008. 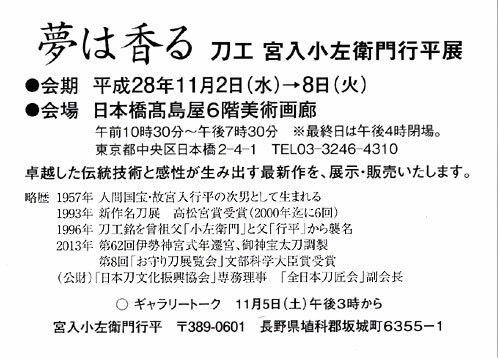 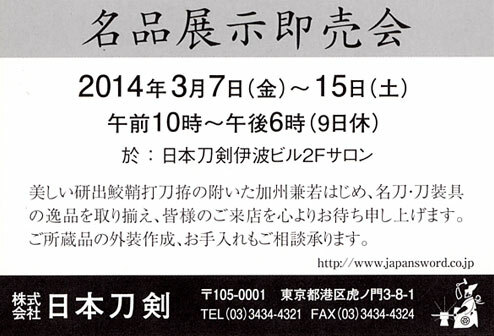 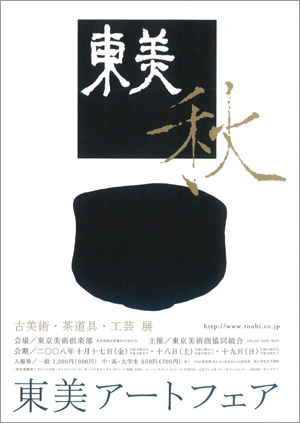 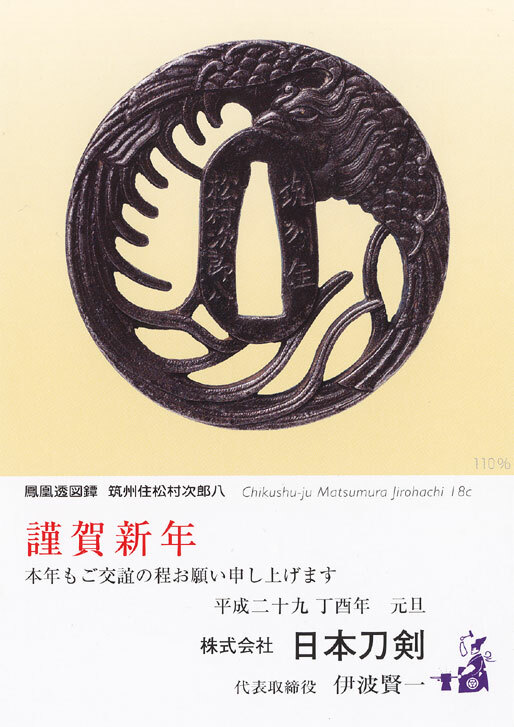 And the memorial catalog for this exhibition is published. exhibition. 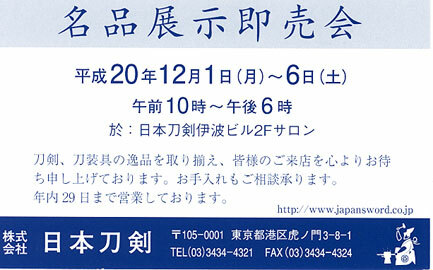 We are look forward you to visiting us. 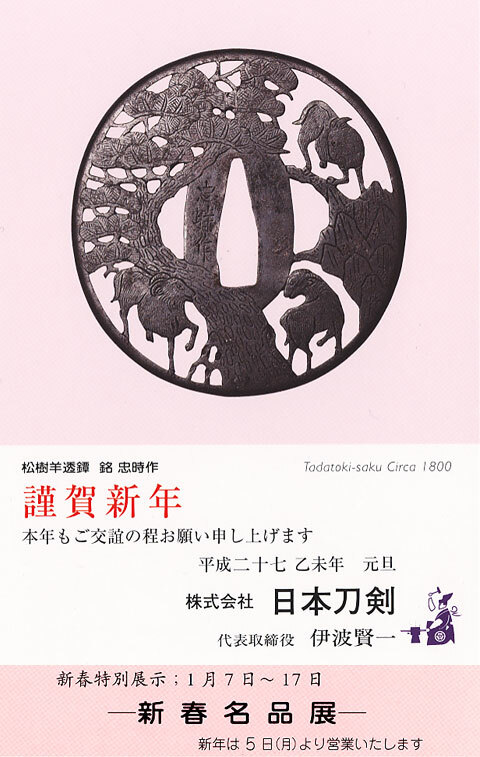 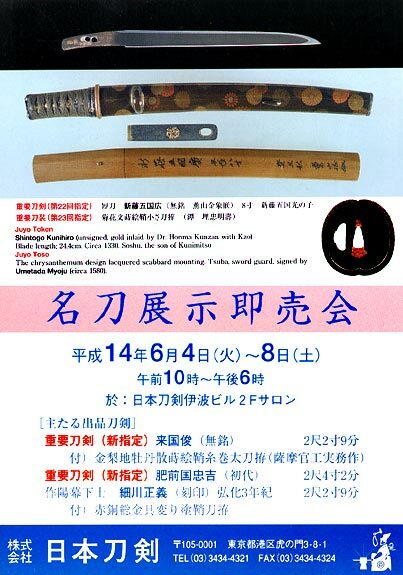 We are pleased to inform you special exhibition of Tsuba, other fittings and swords at our gallery. 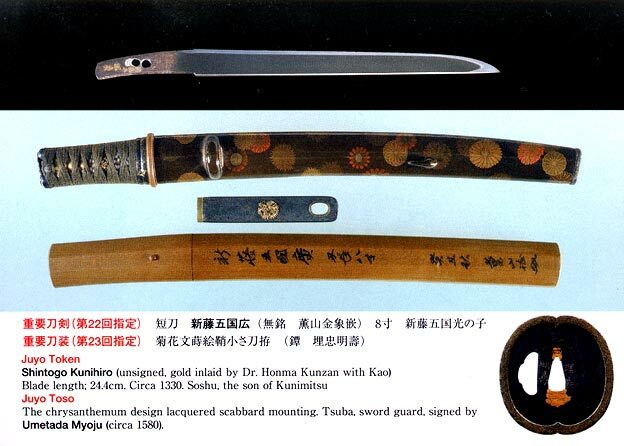 We display approximately 100 Tsuba, 50 other fittings and 50 swords for sale. 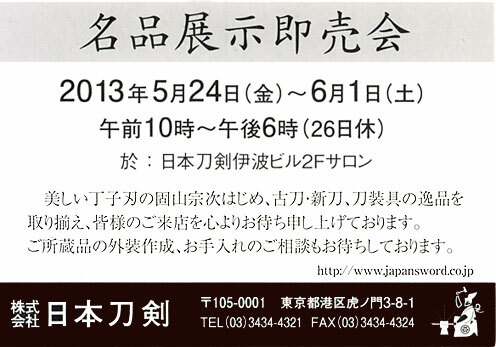 Special exhibition for sale is coming soon ! 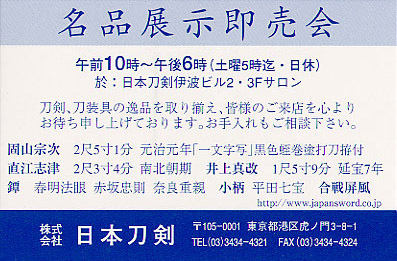 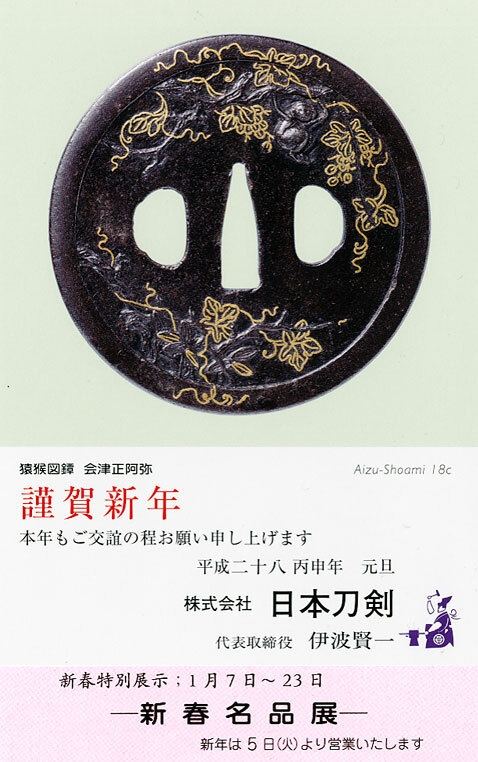 Fine swords and Tsuba fittings will be exhibited at our gallery. 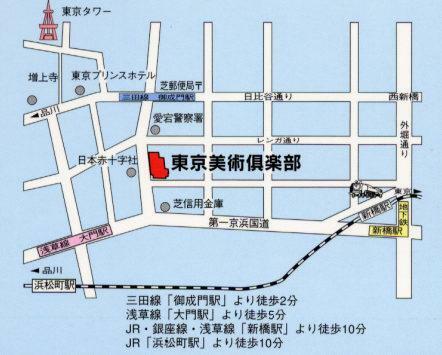 We are waiting for your visiting us !! 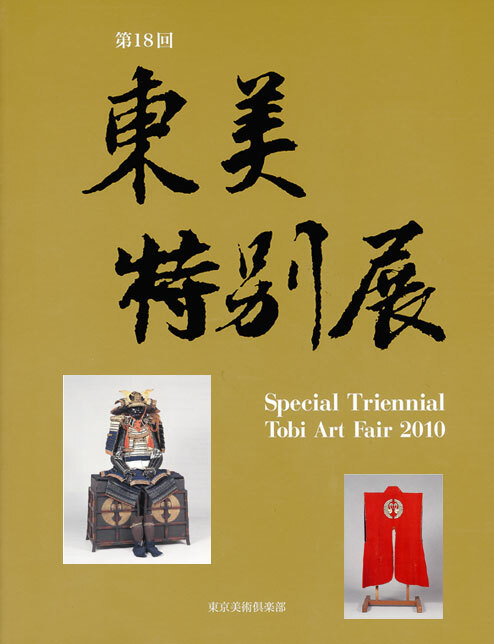 What is the "Special Triennial Tobi Art Fair"
Special exhibition now on exhibited ! 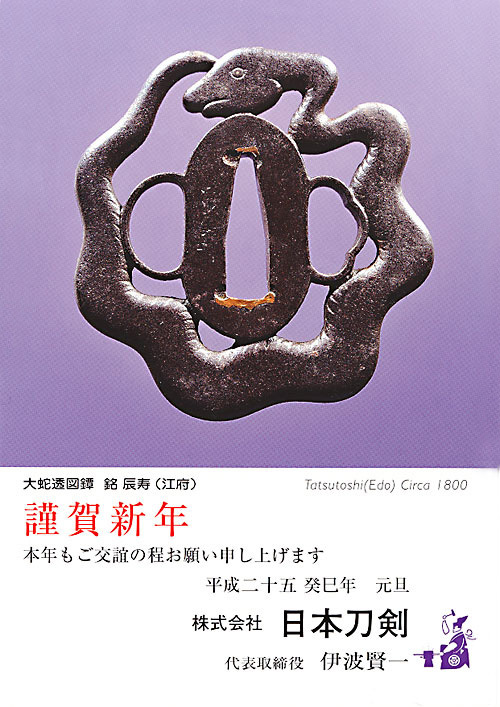 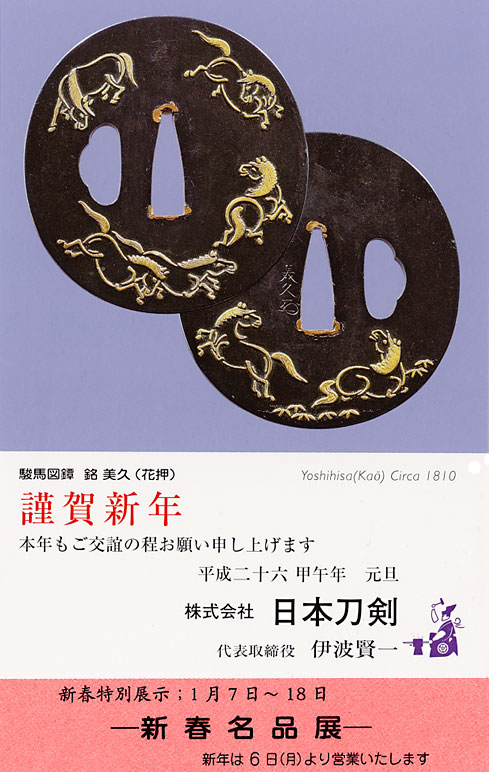 Fine swords and Tsuba fittings are exhibited at our gallery. 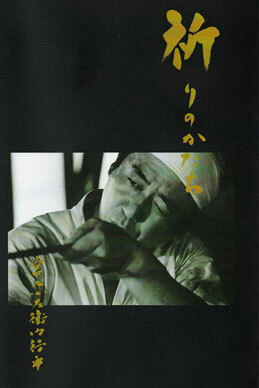 We are waiting for your visiting us !!! 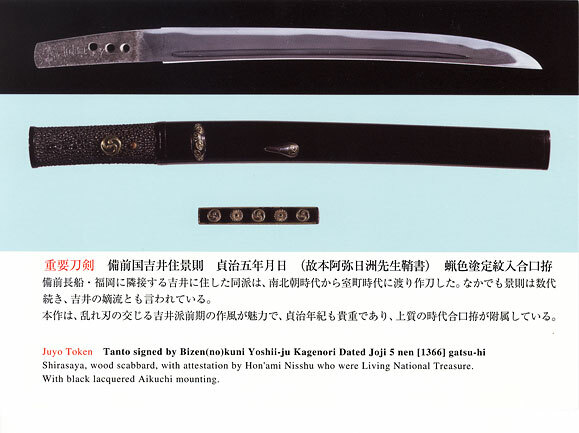 The original modern sword list is click here. 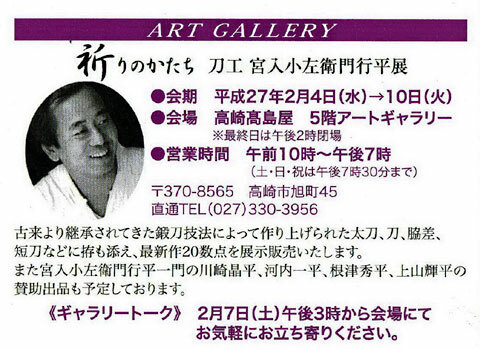 at our gallery, have displayed for sale. 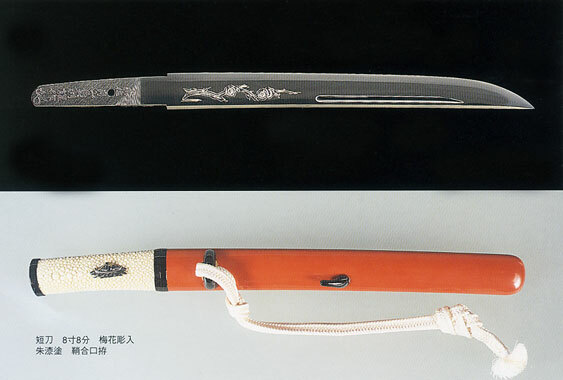 (illustrated on the top) 13c Blade length; 77.4 cm. 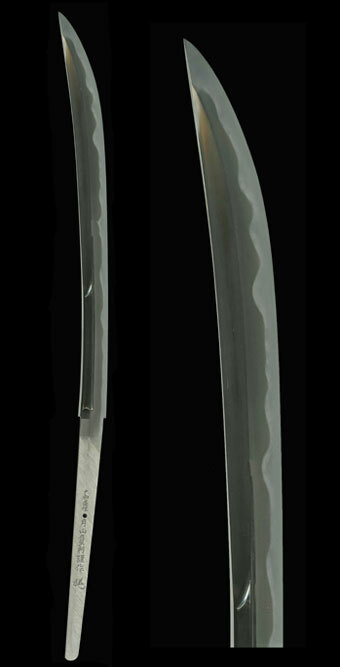 signed Circa 1663, Blade length; 66.7 cm. 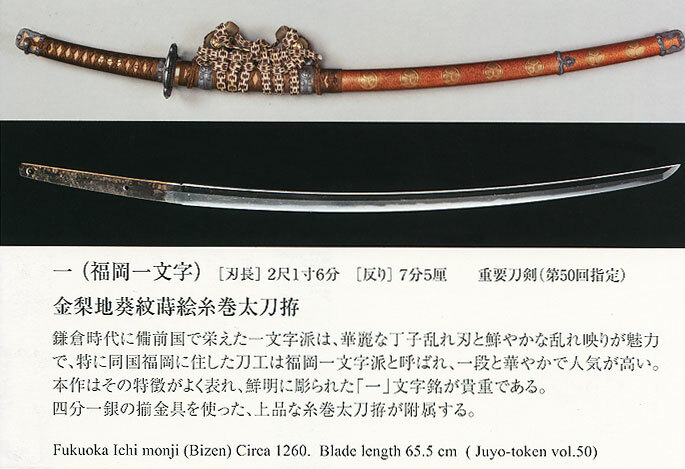 displayed many fine swords for sale. 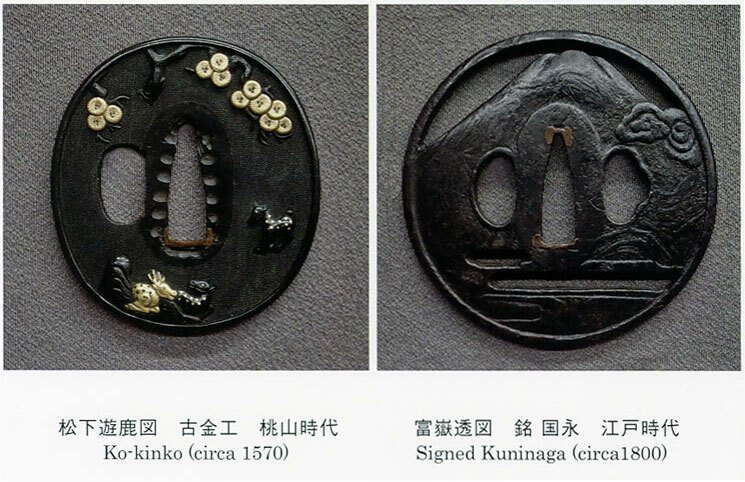 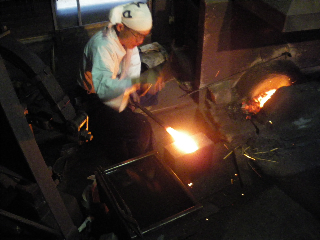 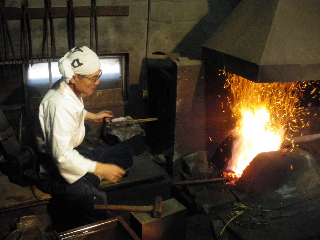 We also show you many Tsuba and fittings. 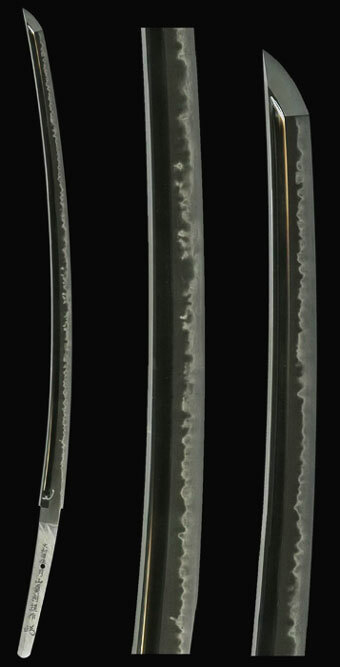 Unsigned Katana, circa1320, blade length;69.4cm., Juyo Token certificate in 2001. 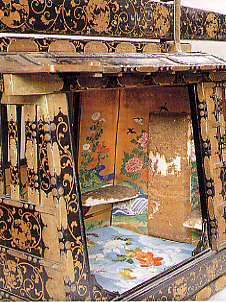 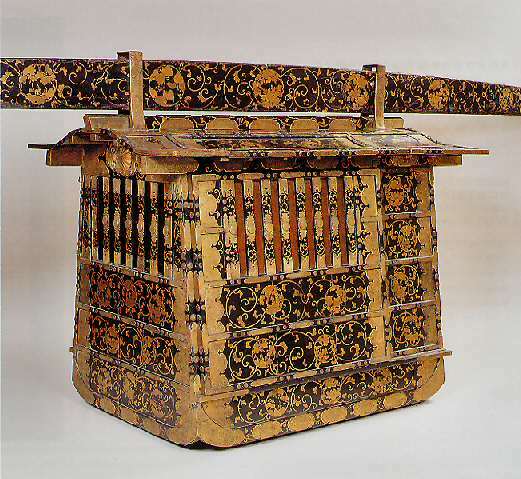 With a peony designed Tachi made by Jitsuto in Satsuma (circa 1865). 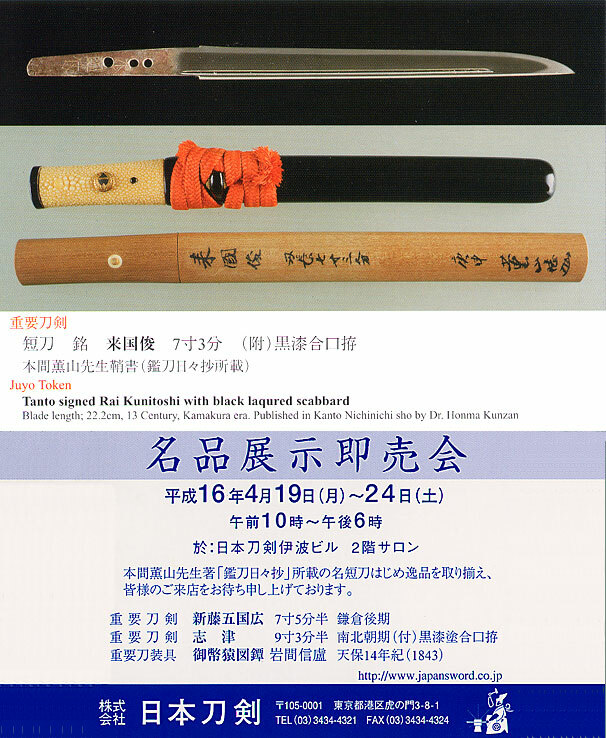 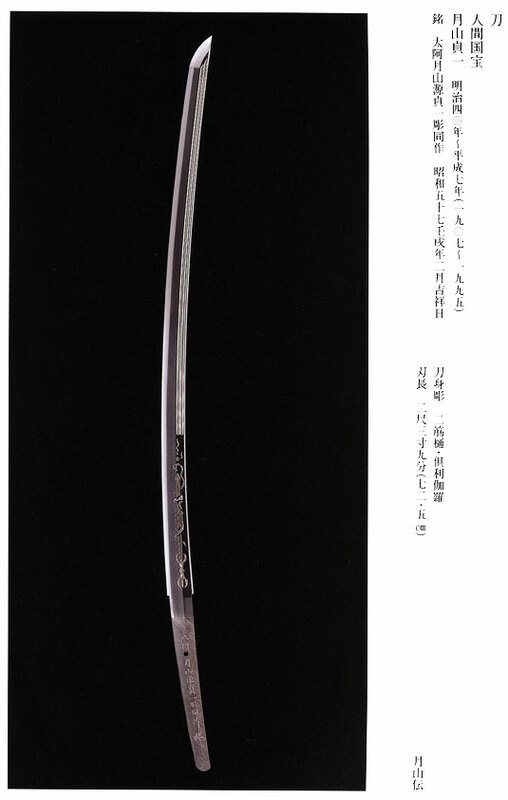 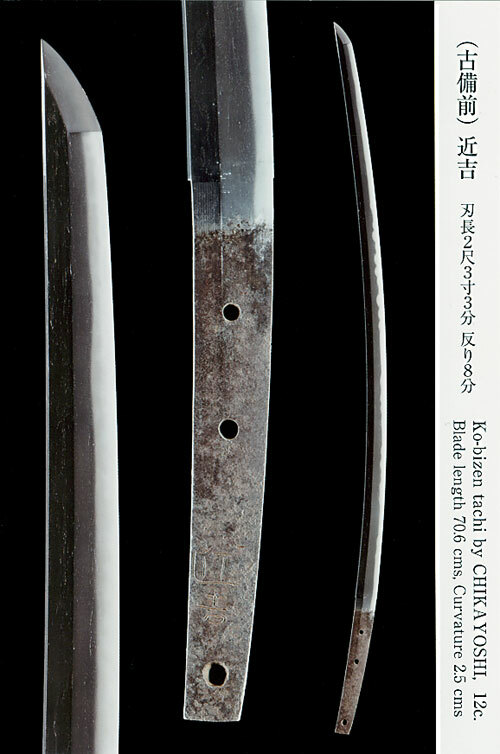 Signed Katana, circa1600, blade length;73.3cm., Juyo Token certificate in 2001. 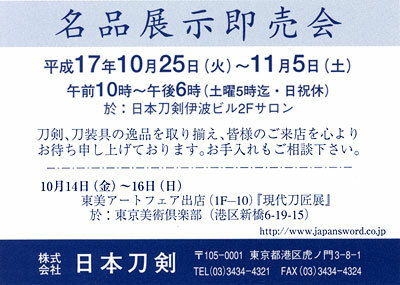 For further information,plese contact us by fax or e-mail.